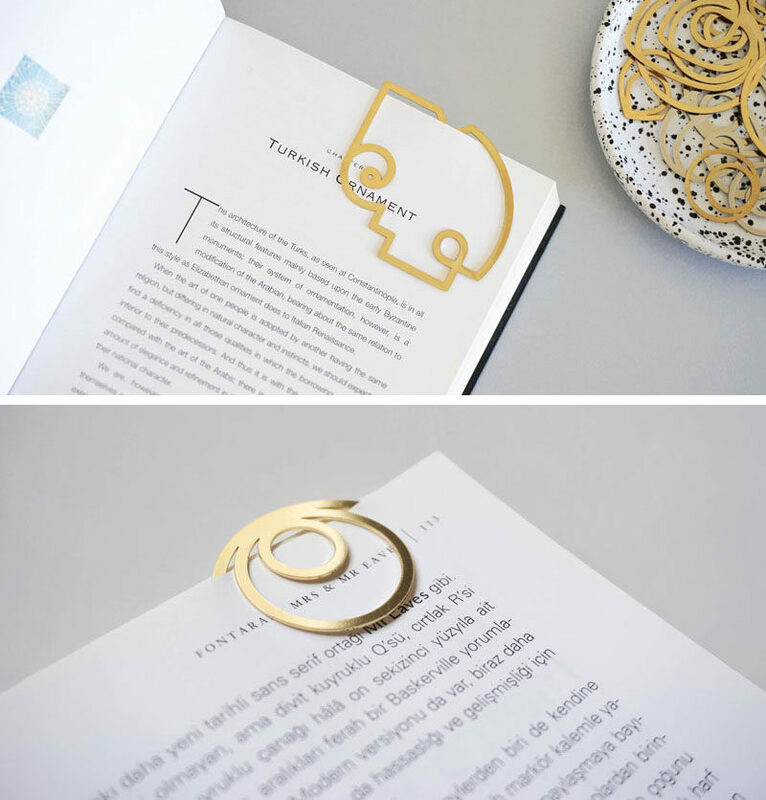 Designer Efil Türk of Llun, has created a collection of minimalist decorative paper clips that were inspired by traditional Turkish motifs. 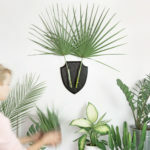 Efil explains “The figures of ‘eli belinde’, ‘koç boynuzu’ and ‘akrep’ in Turkish kilim motifs are the main idea of ornament shapes.” Each shape has been delicately designed for a modern lifestyle. 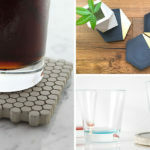 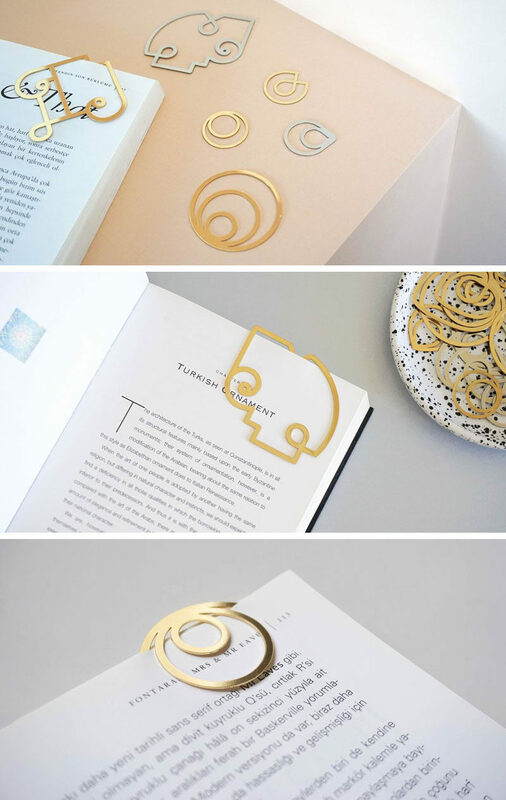 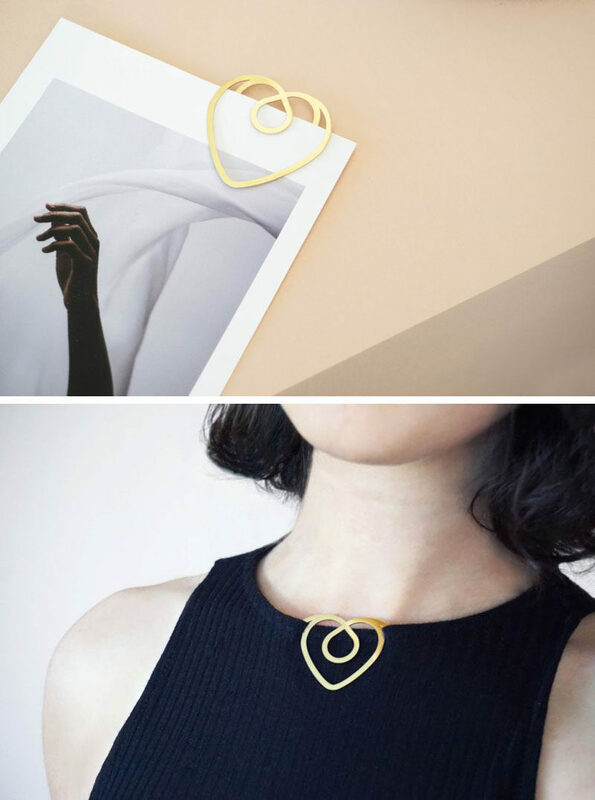 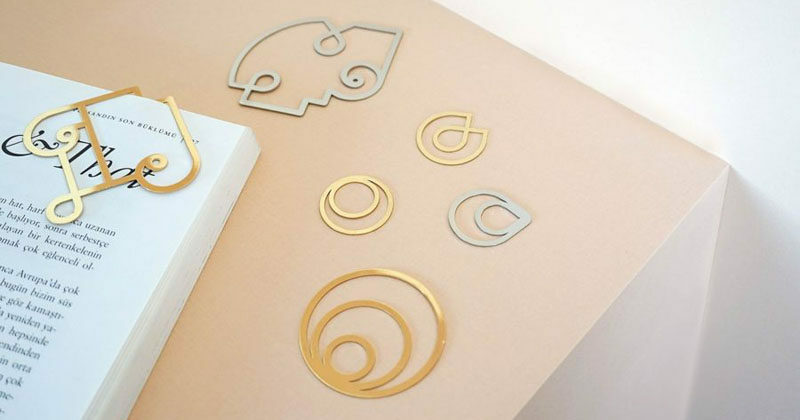 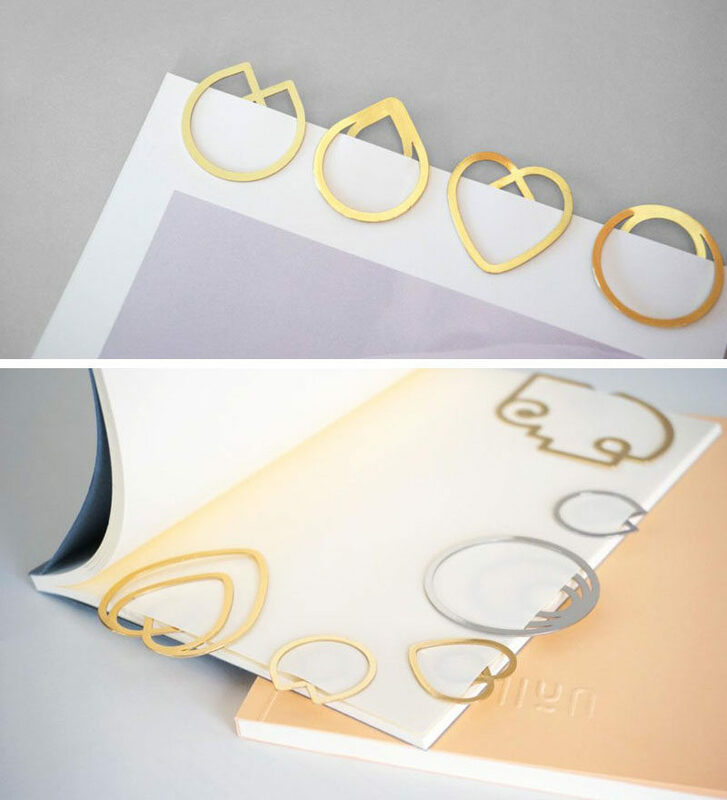 The collection, which is made from plated brass, not only includes the Turkish motifs, but also circles and hearts, and can be used as paper clips, bookmarks, or as a simple fashion accessory.